Situated in the East-Sikkim district of the state of Sikkim, Aritar is an isolated region which is among the best tourist destinations for its natural beauty. It is located under the Rongli sub-division and is a part of the old Silk Route which was once the greatest route for trade in India. Lampokhari Lake is a boot-shaped lake which is one of the oldest lakes in Sikkim as well popular for its gracious ambiance. 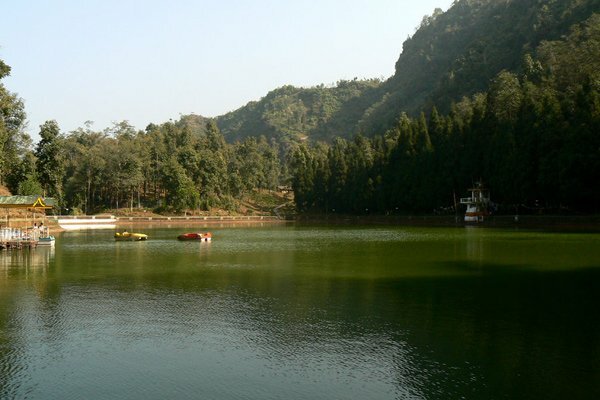 Situated at an elevation of 4,600 ft, Lampokhari Lake that is also known as Aritar Lake is surrounded by green pine forests which enhances the serenity of the place. The lake is the popular tourist destination for the boating facilities and the pathway around the lake. The distance between NJP and Aritar is approximately 110 kilometers and it takes almost 4 hours when you avail Car Rental Services in New Jalpaiguri from a local car rental service provider like Disha Tours. Aritar is located at a distance of almost 68 kilometers from the main town of Gangtok and it takes around 2 hours and 40 minutes to reach by car. You can consult a car rental service provider in Siliguri and get a well-serviced car along with an experienced driver to travel to Aritar. March to May is referred to as the ideal time to visit the Lake Aritar as the weather remains comfortable during that period. Hop into a boat as it is the most popular thing to enjoy here. Paddle around the boot-shaped lake and amalgamate with nature enjoying the surrounding view. You can also indulge in hiking expeditions up the pathway towards Mankhim from where the scenario of the lake and the valleys is incomparable. Mankhim Temple which is situated beside the Lake is also a must visit a place. 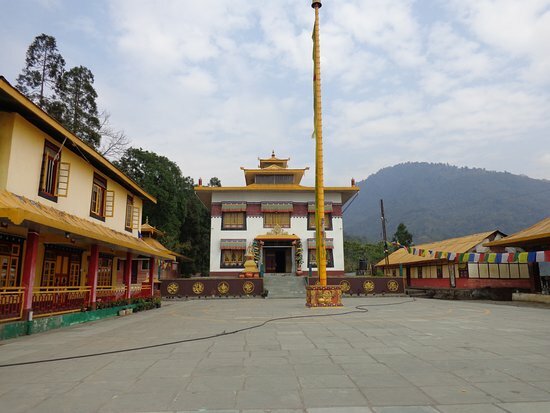 1-Aritar Gompa Monastery-It is one of the oldest monasteries in Sikkim which is also known as Ari Gumpa. It is popular among the tourists for the panoramic view of the curvy roads, dynamic mountains and the magnificent view of the Lampokhari Lake. 2-Kali Khola Falls- It is a 100 meters long waterfall which is also known as Kuikhola Falls and is a part of the old silk route. 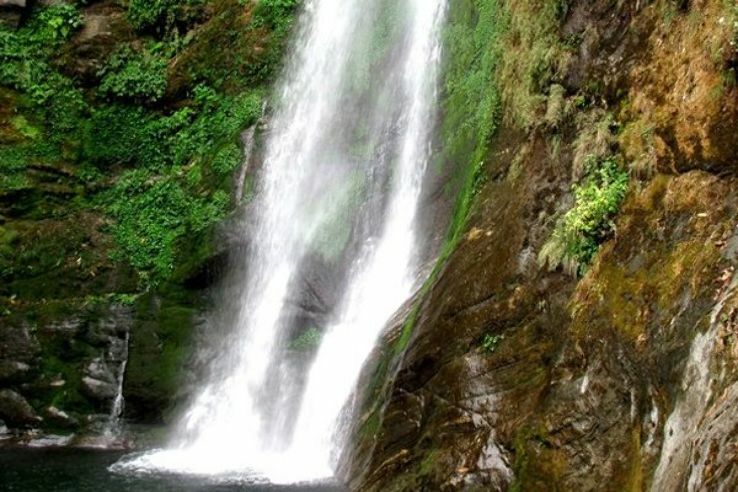 Kali Khola Falls is also a great photographic spot and people also call it Lonely Falls. March to June is considered to be an ideal time to visit this fall as the monsoon awakens the falls again. 3-Aritar Dak Bungalow- It was established in the year 1896 under the supervision of Sir James Claude who was the first political officer of Sikkim. Situated at an altitude of 1447 meters, this spot is popular for providing a flawless view of the exotic valleys, dreamy mountains and lush green forests. 4-Phushrey lake- It is another lake which popular as a tourist destination in Aritar. You can witness some rare species of beautiful orchids here along with that some butterflies can also be seen. The Red Panda which is an endangered species of animal can also be witnessed around the lake. 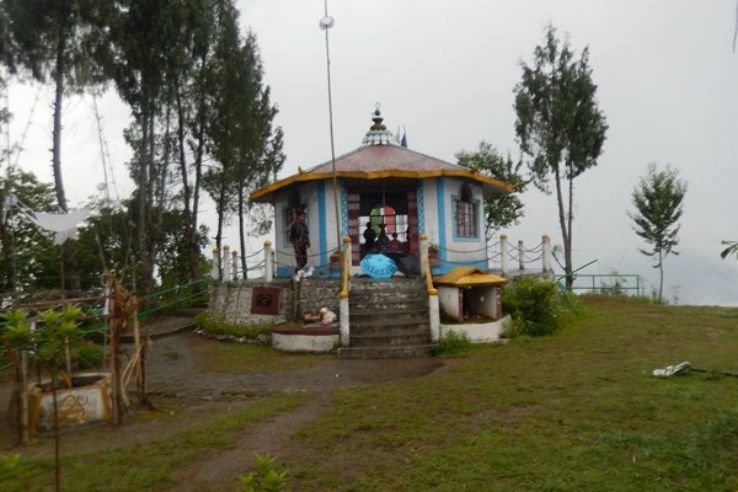 5-Mankhim Temple-Situated near Hattipailay Village, Mankhim Temple is one of the emerging tourist destinations in Sikkim. It belongs to the Rai or Khambu group of Nepal. Along with inner tranquility, the spot also offers a splendid view of the Lampokhari lake surrounded by the lush vegetation of pine. Measure your journey in smiles, rather than miles!! A journey is most enjoyed when you indulge in exploring the nature far away from the hectic life, do the unexpected things and try to make your journey an enduring so that the trip to Aritar remains with you as a wonderful memory.